Summary: New app, CardioVisual, explains heart rhythm problems such as atrial fibrillation as well as treatments. We recently discovered a new resource for those living with atrial fibrillation. CardioVisual, which was created by practicing cardiologists to educate their patients, is a free mobile app for iPad, iPhone, and Android. It uses carefully-curated videos from authoritative sources such as the National Heart, Lung and Blood Institute, the Alliance for Aging Research, and others to explain atrial fibrillation and many other heart problems, treatments, and procedures. Short videos explain normal electrical activity and heart rhythm problems. The afib videos include the mechanism of afib, afib-related strokes, and various treatment options. 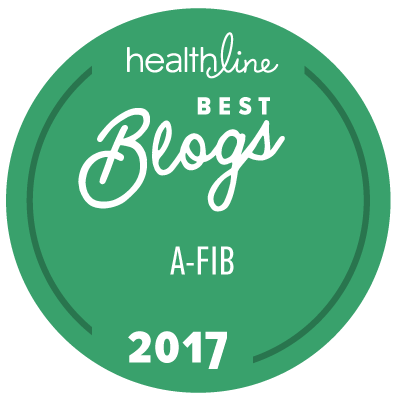 Many patients with afib have other co-existing heart issues, such as congestive heart failure, heart blockages, or valve problems, and need various procedures. The CardioVisual app offers informational, jargon-free videos for most heart and vascular conditions, treatments, and procedures in four categories (heart, rhythm, structural, and circulation). There are two versions of the app — one for patients and one for healthcare professionals. You simply select the patient version when you launch the app for the first time. Doctors and other healthcare professionals use the app in their office to help explain complex cardiovascular conditions, and then send patients home with a “prescription” to download the app and revisit the learnings of the doctor’s office in a more comfortable environment, and with loved ones nearby to further aid understanding.